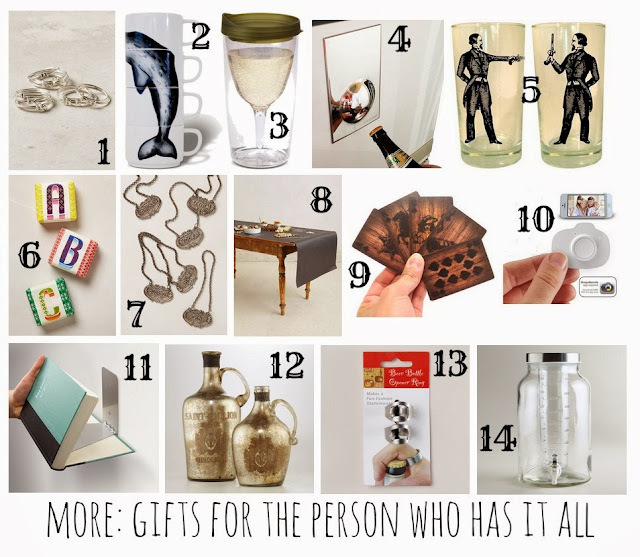 More: Gifts for the person who has it all! Narwhal Stacking Cups, $38, Gent Supply Co.
Wine Sippy Cup, $13, Gent Supply Co.
Fridge Magnet Bottle Opener, $25, Gent Supply Co. Gentleman's Duel Bar Glasses (2), $25, Gent Supply Co.
Wood Playing Cards, $10, Gent Supply Co.
Selfie Remote, $26, Gent Supply Co. Conceal Shelf, $13, Gent Supply Co.